I have now been on this fitness challenge for one week. It has had its ups and downs, but overall, I am very confident that things are going in the right direction. Focused on exercise, diet and a positive mental attitude, and I believe that I am succeeding little by little. 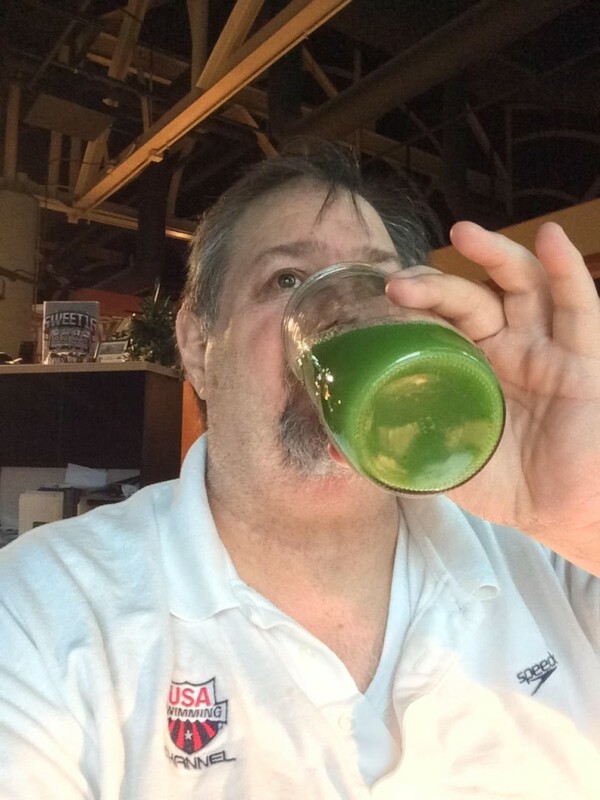 On a positive note, I did have my green juice in the morning, a spicier version with less fruit and more vegetables and even some jalapenos in it! And, of course, another huge salad in a jar for lunch. Despite missing my walk, I feel good about myself and know that tomorrow is another day and I can push to get it done. Julianne made another wonderful dinner last night! We had mashed potatoes (made with almond milk and no better), hey gravy made from mushrooms and a few other things like broth. An amazing gravy! Then, we had one of my favorite vegetables, asparagus. Yes! 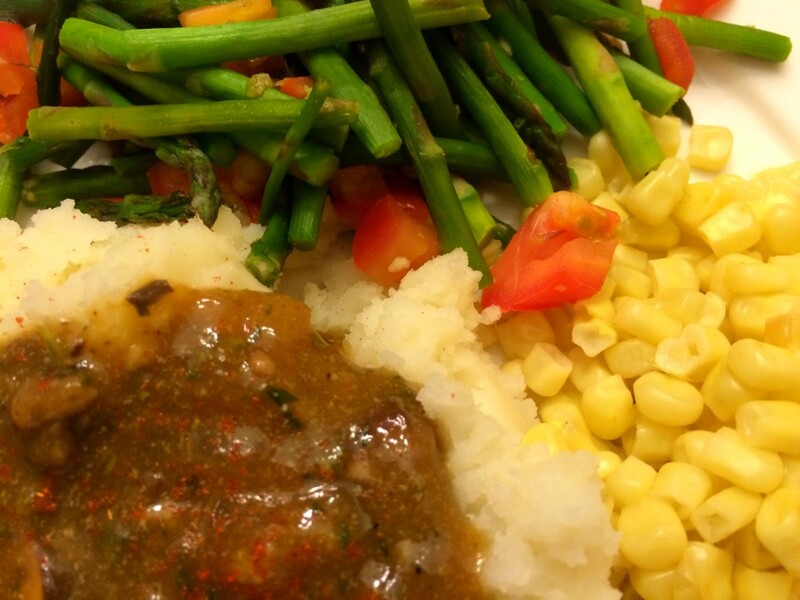 A great WHOLE FOODS dinner of mashed potatoes with fat free mushroom gravy, corn and an asparagus medley. YUM! I must admit that yesterday was a very stressful day. There were a few things that happened at work, a couple of things with my extended family, namely my aging step-father, and then some exciting stress as one of my blog posts (See it here) went viral yesterday (and has over 1000 Facebook Likes!!). The problem with stress and me is that stress makes me want to eat. My victory came in the fact that, other then for five Peppermint Lifesavers, I pretty much avoided eating or binging on anything. And I am happy about that because that is a major challenge. Every day is new day and I look forward to sleeping and being ready to tackle the next day where I will be awesome, but getting better!